Owing to the wide experience in this domain, we are instrumental in offering Steel Grooved Roller to our clients. We are one of the well-known manufacturers of Grooved Rollers that are available in various sizes ranging from 95mm dis to 18mm. 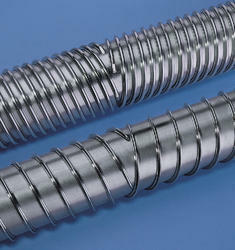 These Kemtrode extruders are available in various thicknesses such as (18 mm. carbide) I.D. 25 mm and a key way of 8 x 3 mm. The single groove rollers Esab Extruders have the diameters of 132 mm. We offer Steel Grooved Rollers to our clients. Owing to the quality raw materials and modern machines used for manufacturing this, the offered Steel Grooved Rollers is characterized by impeccable resistance to corrosion, unmatched sturdiness and commendable durability. 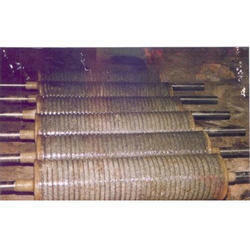 We are a leading exporter of Steel Grooved Rollers. We have founded ourselves as a recognized manufacturer of Steel Grooved Rollers. We are a emerging Supplier of Steel Grooved Rollers. Pioneer in offering Steel Grooved Rollers. Our company is able to manufacture and supply Steel Grooved Rollers.